Reset your password follow the simple steps below. 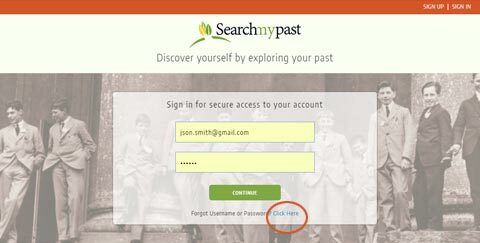 Go to Searchmypast.net and click SIGN IN link in the top-right corner of the screen. Click on [Forgot Username or Password? Click Here] link to the bottom of SIGN IN box. In Retrive Your User Name/Password Box enter your registered email address and click CONTINUE. Wait till [User Name/Password is sent to your registered Email ID.] message will apear at the buttom. Now check your mail box for the message with your username and password. If you have not received the message the check your spam/junk folder or you may contact Searchmypast Support Center. 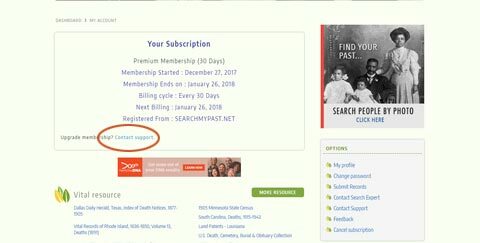 View details about your current subscription on your Account page. 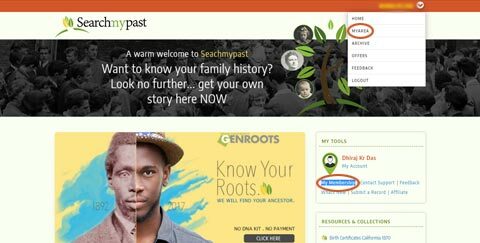 Log in to your Searchmypast account. 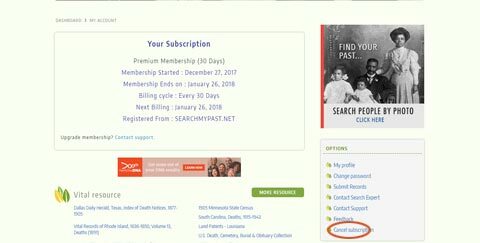 View your membership type and the associated Billing Cycle & Next Billing Date in the Your Subscription section. 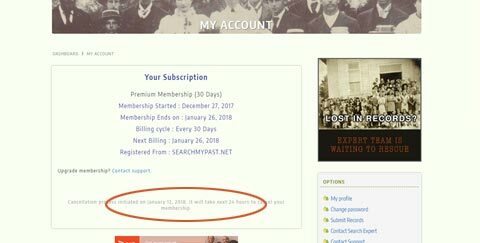 You can cancel your subscription from the My Membership/MyArea page on Searchmypast. Click your name or username in the top-right corner and select Your Account. In the OPTIONS Box in My Account, click Cancel subscription. 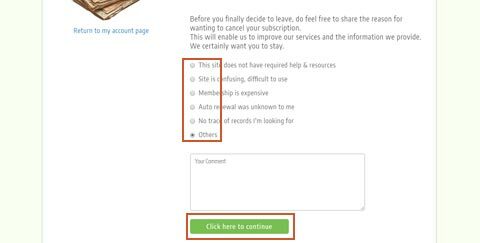 Scroll down, select an option, and tell us why you're thinking of leaving. Put your comment in the comment box and click on the continue button. 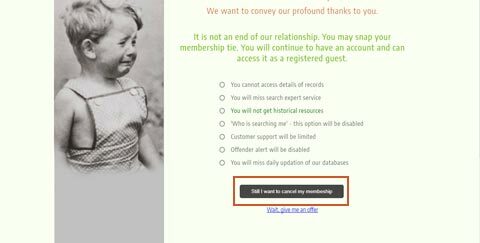 In this confirmation page read the details carefully & click on button for complete your cancellation process. Make sure the page says your subscription is canceled. Upgrade Membership on your Account page.